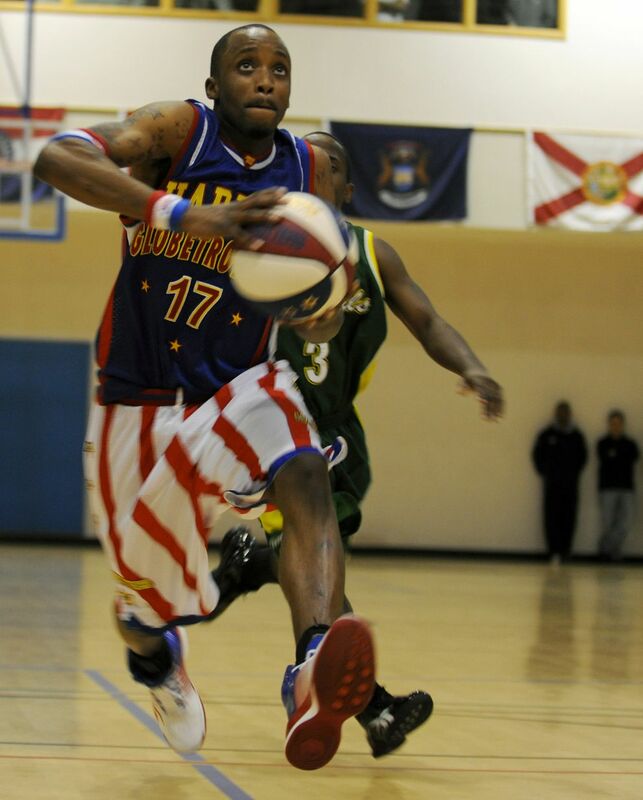 On January 7, 1927, the Harlem Globetrotters played their first game, in Hinkley, Illinois. They wouldn’t play a “home game” in Harlem, New York City, until 1968. The Harlem Globetrotters are an international symbol of the United States, truly "trotting" around the globe playing goodwill exhibition games with extraordinary athletic ability—like "Rocket" Rivers here going for a layup at a Royal Air Force base in Mildenhall, England. The Globetrotters were superb athletes who traveled around the Midwest, often giving spectators their first glimpse of a live basketball game. The team didn’t introduce its signature comedy routines until decades later. The Globetrotters were created long before African Americans were allowed to join the National Basketball Association (NBA). When the NBA lifted the “color barrier” in 1950, one of the first African American players to be drafted was a Globetrotter, Nat “Sweetwater” Clifton. Another former Globetrotter, Wilt Chamberlain, was drafted in 1959 and still holds key NBA records, including most points scored in a game (100) and most points scored in a season (4,029). to choose a player for a sports team. sports team that plays games where the outcome does not impact the team's ranking. person who observes an event or situation.